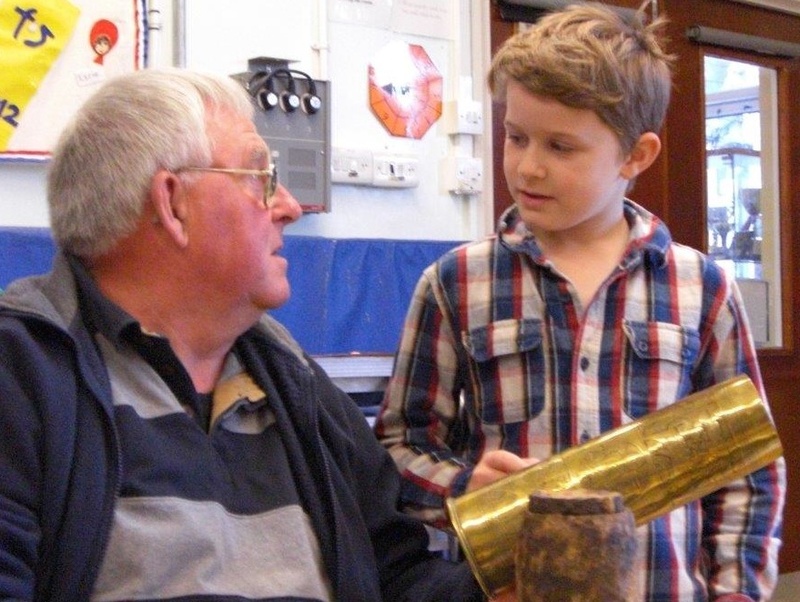 The joy of singing - Children at Farmborough School received some special visitors last week, when they welcomed members of the local Goldies to have lunch with them, and then share objects and stories from WW1. They were also joined by parents, grandparents, staff and others from the local community in what was a very memorable afternoon. 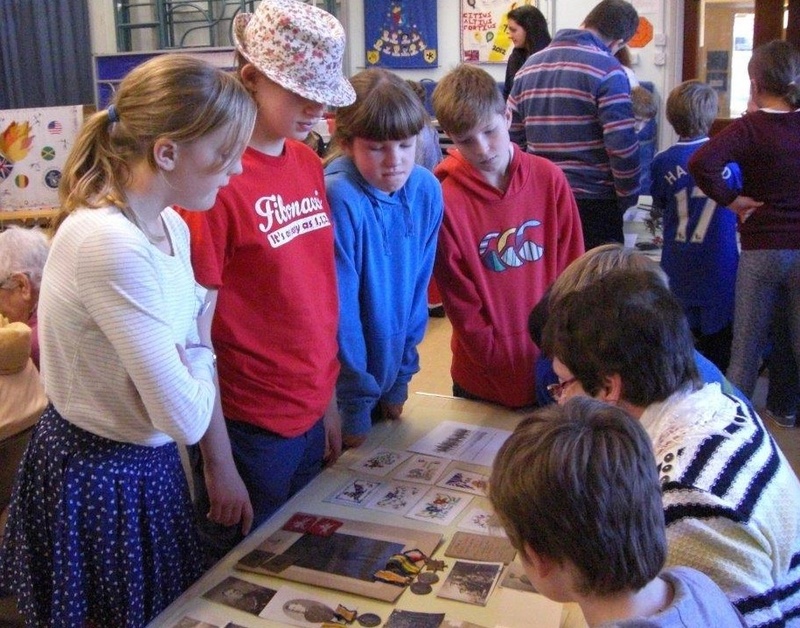 After lunch, Goldies and grandparents shared information and objects from WW1 with the children. These ranged from shell cases to medals and photos, lead soldiers, and model field guns. local Historian, David Judd, led people in talking about memories, as he shared how he had researched the stories behind the men recorded on the Farmborough War Memorial. The school is well known for its high standards in music and singing; Goldies founder Grenville Jones came along specially to lead old and young together in a medley of WW1 songs, which was truly inspiring. Specialist teacher Tim Parker then introduced Christmas songs written specially for the school, as they prepare to represent BANES schools as a special concert at the Bath citadel on December 5th. "Singing is such a powerful way of bringing people together, as it touches old and young alike, and brings learning alive. Children learn best when they have relevant and exciting projects. Visitors to the school always bring so much, so a big thank you to the Goldies." Jesse and Geoff examine a WW1 shell case. A granny shares family war medals with pupils.